The Nephilim was a small, sleek, corporate ship about a third the size of the Nemesis. Unlike its dark counterpart, it glowed white when landing; depicting a vision of purity only its polished silver hull could produce. This was an intentional effect, in much the same way the Nemesis’ equally sleek dark body glimmered in the sun like the blue-black wing of a raven. Interplanetary relations demanded many illusions. It made the job easier. Michael frowned at his view screen. Landing the Nephilim so close to mine 171’s entrance provided him with a firsthand view of the Magistrate’s failed plan. Even from this distance, in the fading light of evening, he counted as many as twenty bodies still scattered about the grounds. He studied the group of mine reps struggling to appear dignified as they scurried out to meet him. Shutting down the central control-screen, he grabbed up the three-quarter length ivory robe he had chosen earlier for this mission. This is going to be a hard act to follow. Traumatized people need extra theatrics just to get their attention. Michael pulled the silken garment on over his also ivory business suit enroute to the ship’s main exit. He tapped on the tiny view screen by the door to verify his audience was in place. As they gathered, he reached to the back of his neck and released the tie neatly tethering his long hair. With a quick shake of his head, a disquieting appearance emerged; golden eyes, flowing robe, unbridled platinum hair. He punched the door release twice. A bright flash of light erupted behind him as it snapped open. Two steps forward activated specially orchestrated jets of air, setting his hair and robes awhirl. He gauged their thoughts as tendrils of awe-tinged fear overtook them until the meager assembly of miners froze where they stood. Michael glared down at them and telepathically projected a primal hiss across their consciousnesses. Most of them backed away, a couple remained frozen, and one, struggling for calm, awaited him. This was their spokesman. It did not take long. Michael stared the Magistrate to silence. “I will eliminate the Lords of Deridia. You get back to the mines.” He allowed his gaze to include the rest of the startled group. ”Meet your quotas or I will return to deal with you as well.” He allowed his words to echo through their minds as he turned away. The Magistrate stood dumbfounded. “Yes sir. Yes sir. The Overlord can count on us.” He waved everyone away. “Back to work.” He sidestepped toward them, equally anxious to escape further notice. Michael disregarded them and returned to the Nephilim. Once the door hissed shut, he closed his eyes and thought his findings to The Overlord's coordinator, Gabriel. Who, in turn, would notify the Nemesis and anyone else the Overlord deemed necessary. Michael reached for the Nephilim’s controls. Her engine purred to life and she shot through the night with little warning. From below, the illusion of a silver-tipped spear streaked across the sky towards the western ice mountains. Ira opened his mouth to say something. Laynald watched them, knowing Tristen would plead this case better than he could. Since she had excluded him from hearing the conversation this time, all he could do was wait anyway. He’d learned a lot about working with Psions in the last couple of months. Ira suddenly turned away. “Fine. We’ll do it your way—for now.” He stormed from the control room. Laynald smiled at her. “We’re approaching the main port nearest the mines right now. Tell Ira to wear The Black. If this world hasn’t heard of a Wall Master yet, they need to. Meet me in the docking bay in fifteen minutes.” He made a point to watch her walk as far down the corridor towards her quarters as he could before the auto-door shut. After that, either Ira would help her or she would manage on her own. Being blind in an empty corridor wasn’t that tough. She’d handled worse. Laynald donned an air of importance. “Port Command, this is Universal Government ship, Nemesis. I am Special Ops Agent Laynald Lockheim. We will be docking soon. Notify your superiors. I’ll expect an official representative to report to me immediately upon our arrival. Will there be any problem with this?” Laynald watched the backwater officer scrambling with his keyboard before venturing a response. “It will do, Port Command. We arrive in ten minutes. Nemesis out.” The screen clicked off, leaving Laynald staring at the empty wall. Absently, he checked the cleverly concealed dart sheaths that lined his arms and waist. “Nemesis-control; auto land to established coordinates.” He released the safety from a sidearm and resituated a couple of throwing knives as he rose to leave. Though it appeared seamless, the sleek black surface of the Nemesis shimmered as the doorway appeared and a ramp emerged. Laynald carried himself with an air of authority at the group’s head. The intensity of his stare, his rugged weathered face, and shoulder-length, gray-streaked hair easily defined him as a man not to be reckoned with. As usual, the whole team wore black, but in differing styles. Laynald wore a tailored jacket, high collared shirt, and pants tucked into tall riding boots that struck a smart cadence as he walked. Tristen, dwarfed by her teammates, trailed slightly to his left. She walked like a shadow, her jagged jet-black hair and high-necked jumpsuit engulfing her tiny form—except for her exquisite sea green eyes. Closely to her right, wearing the full length black silk robe and the gauntlets of a Wall Master, Ira followed. Despite being over six feet tall, his movements appeared deceptively graceful, his gate more like a glide. He wore the deep hood pulled far enough forward to conceal his face. Occasionally, however, a stray beam or passing light would catch his strangely faceted eyes and cause them to glitter or cast an eerie gleam from beneath it. The nervous Port Officer stumbled over himself in a clumsy effort to rush the trio through the deserted little terminal to where their assigned transport awaited. “If, uh, you don’t mind,” he motioned back to his office, “I’ll leave you to your own introductions so I can get back to duty.” He waved over to the worn looking young man leaning against the land rover by the curb. “He...he sent me to show you?” He stumbled back into the vehicle in an attempt to distance himself from them. “Young man,” she thought to him while closing the distance between them, “why are you here instead of the Magistrate?” She placed her hand onto his arm and smiled as his mind succumbed to her control. “He’s hoping you will kill me instead of him,” the trembling man answered. like Barnes & Noble can order the book with the ISBN number. Also available during personal appearances as they are scheduled. All major stores such as Barnes & Noble can order the book with the ISBN number. Once again the Dark Ops crew of the Nemesis is called into action. But this time it’s personal. When a former team member is kidnapped on a Hive drug mining planet both the Universal Government and the new Corporate Overlord have to respond. For the first time the Nemesis team and the Corporate Archangels join forces against a psychic vampire, his strange twin brother, and the Oracle menace threatening their universe. But is anything truly what it seems? Rael is the only person ever to escape from the Hive planet, a planet inhabited by all the criminals and dissidents from the rest of the Universal Government’s system of planets. The workers of the Hive are treated with an addictive drug which makes them feel wonderful, but only if they work as part of the ultimate interplanetary temp service across a universal web. Rael was rescued as an infant and adopted by Marion Mahata, the head of Dark Ops Central Command for the Universal Government. He had already been implanted with the compu-link which all Hive workers have, but he had not been given any of the addictive drug. Mary Andrews has included three short stories in this edition of her novel so that we get to meet Rael as an eighteen-year-old when he begins his training with his own ship, Nemesis, and then fifteen years later as he begins to assemble his own special team. By the time the novel begins, the reader already knows not only Rael, but also Laynald, a healer as well as an assassin, and Ira, a telepathic teenager. Fireborn Found takes place five years after the last short story, by which time the Nemesis Dark Ops team has become fully functional, a bonding of man, machine, and the paranormal. The story line is well-crafted and the pace is fast-moving and exciting. There are mysteries to be solved, and the plot has a lot of twists and turns. I found the descriptions of the various planets in the stories to be fascinating. But what I enjoyed the most was the characters and how Rael with his compu-link works with the telepathic Ira and Laynald, who has no supernatural powers at all. Even though these three men are very different, they work extremely well together. It is true that Ira gets a headache if he is too close to Rael when Rael is using his compu-link, and Laynald and Rael both find it difficult to be in situations where telepathic communication is going on, but in spite of their differences, they have bonded together into a complete team capable of carrying out a wide variety of assignments. This is the first novel in a trilogy and I am definitely hooked and ready for the next two (which thankfully are already published). Readers of all ages who enjoy fantasy with a paranormal twist will be captivated by Fireborn Found. Let's say your mother told you stories of slavery on a "Hive" planet where prisoners are sentenced to life for their crimes, receiving a drug that makes servitude feel warm and fuzzy. And you read her letters after she gives her life getting you off that planet. Then you find out some mysterious "Oracles" are orchestrating your life and have given you control of said hated planet, along with much of the known universe. Could you objectively run it and the vast empire it holds together? 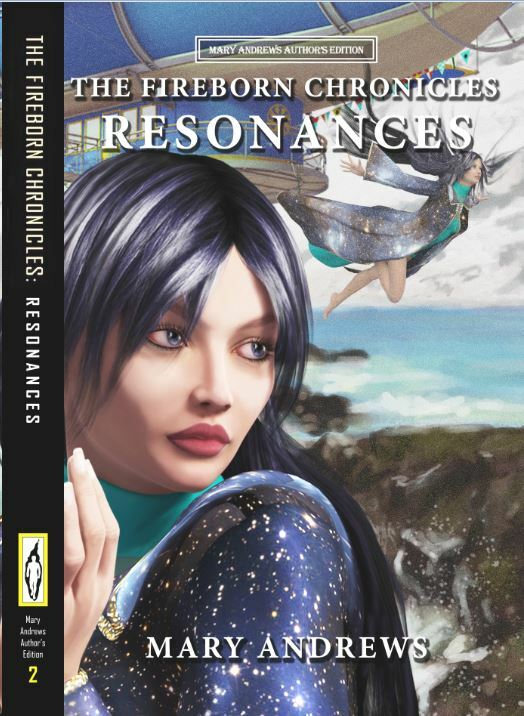 Rael Pointe faces that question in The Fireborn Chronicles: Resonances. When something interferes with Hive drug production on a remote world, Rael and his crack team of outcasts investigate. They think the "psychic vampire" they run up against is the enemy and capturing him will solve their problems. But, as they say, appearances can be deceiving. While my own writing is confined to Earth, I thoroughly enjoyed Mary's ambitious jaunt into the realms of space. She imbues her characters with a healthy dose of modern day down-to-earth attributes. But then she takes us on a journey into never-never land and the result is mesmerizing. 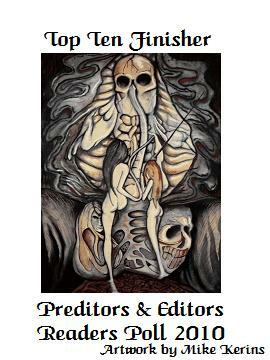 As a published author, I recommend this book to readers who like space fantasy. And, it made me do some thinking about how much fun it would be to engage my own creative forces in a space odyssey. While on a mission to recover one of the Overlord's missing agents, the crew discovers two new and dangerous psionic talents, as well as an ancient conjuring race. As the crew tries to harness the power of these new talents, and stabilize their recovered but injured agent, the Overlord Rael discovers more about his personal history and his inheritance of the Overlord power. 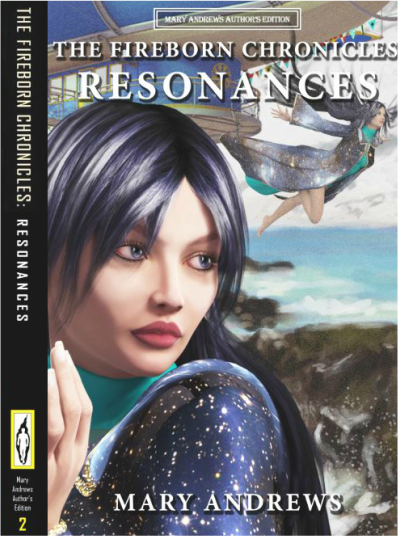 Resonances is a vast, and sometimes confusing, character-driven telepathic adventure. Most of the plot is driven by the conflicts and motivations of each of the characters, some motivated for noble reasons and others driven for obscure reasons. The world-building, creating a huge psionic civilization which is ruled by an Overlord with both technological and psychic ability, is reminiscent of Anne McCaffrey's Talents series. However, with so many characters with unclear aims, the plot meanders from scene to scene, making this more like a serial than a novel. As the second in the series, The Fireborn Chronicles may develop and reveal the aims and destinies of each character, and it will appeal to readers who like telepathic protagonists. Another Muse It Up Publishing book finds it's crafty way into my hands then glues me by the seat of my britches to my recliner and won't let go until I get to those fate-filled words "THE END!" Book One introduced us to the crew of the Nemesis, and how they became the crew, under the captain, now Corporate Overlord, Rael Pointe. Laynald, the unusual combination of healer and assassin is back being as cryptically engaging as ever. Mary reintroduces us to chief scary Psi-guy Ira Haze's sister Alandra; new scary dudes, brothers Nevon and Deshon and a return visit to Mallory, another scary dude you're just going to love hating. Tristen, the blind Chosen One...now Ira's much in love wife is back with enough new "tude" to make Mallory her cruel master in book one, run for the nearest corner with his tail between his leg whimpering this time around. Oh...and if you read my review of the first book, you'll note I queried Ms. Andrew's book may be answering some questions about our own nebulous religious past here on earth...How's this for a kick in the pants...Rael inherited the Archangels in book one, and they're here, front and center in the goings on throughout this book serving their OverLORD with pride and distinction. In short Mary Andrews delivers again. And boy will you be surprised when you learn WHAT she delivers. I know I was. I got so caught up in the twists and turns she weaves her characters through I was not happy when I reached the end, but encouraged when I learned more is on the horizon for us avid THE FIREBORN CHRONICLE fans. This is one relationship I hope goes on and on forever. Five Stars is not adequate... This deserves...shoot...how many stars ARE there in the entire Universe?